FAQ: Can I park my car on my artificial lawn? Parking on Artificial Lawn is not advisable. Long-term compression will likely result in irreversible damage, so we don’t recommend you park a vehicle on your artificial lawn. 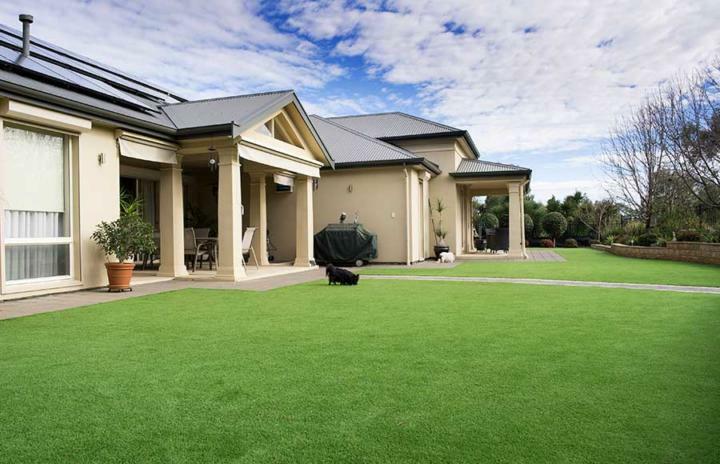 Artificial lawn can still provide your backyard with many benefits. It requires very little maintenance, it keeps your backyard looking neat and tidy and it stays lush and green all year round. It will also save you money on your water bill. These benefits do make it a superior alternative to natural grass, however there are similarities. For example, like its natural counterpart, artificial grass will compress under the weight of a vehicle. PrevPreviousHow do I keep bark and leaves off my artificial lawn?